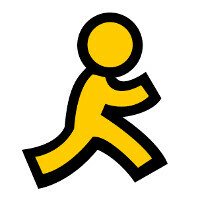 If you're older than 20, you might remember when AOL was a big deal. One of the three major internet providers at the time (along with Prodigy and GEnie), it was AOL that gave many people their first taste of the internet. But the internet proved to be too big to be contained in a closed system, and helped along with a poorly executed purchase of Time, AOL's days as an internet portal soon became as relevant as Herman's Hermits (Google it). But AOL did have the brains to re-invent itself in the new mobile based world, as an app that offers many of the same things that it offered as a closed system. The app for the Apple iPad was redesigned from the ground-up and uses a tiled UI that opens on a general news feed, although more specialized stories are a click away. And yes, AOL mail is included. Just click on the small envelope icon on the top toolbar and you're on your way. AOL for iPad is a free download from the Apple App Store. Haha does it come with those classic dial-up sounds? Hard to believe people still use AOL?? Nevermind, just read it's for iPad: makes sense now. That was my first experience with the Internet. Took forever to get on, and no call waiting while on the net. Those were the days of chat rooms lol. Makes sense you would troll chat rooms, any behind the dl hook-ups?? Not sure why you look to bother me, but if it makes you happy go for it. Your wasting your time if you think I'll actually answer your questions though. I had that too, with the disk inserted in the drive lol. Are you sure it was a disc? Wendy, just give it up. I'm sure I wish you'd go away...Wendy. NetZero with SegaNet FTW!!!! I heard "Get off the internet!!! I am expecting a call!!!!" Waited for hours for a phone call that never came..no internet the whole time....what kind of cruel joke was that!!!! !